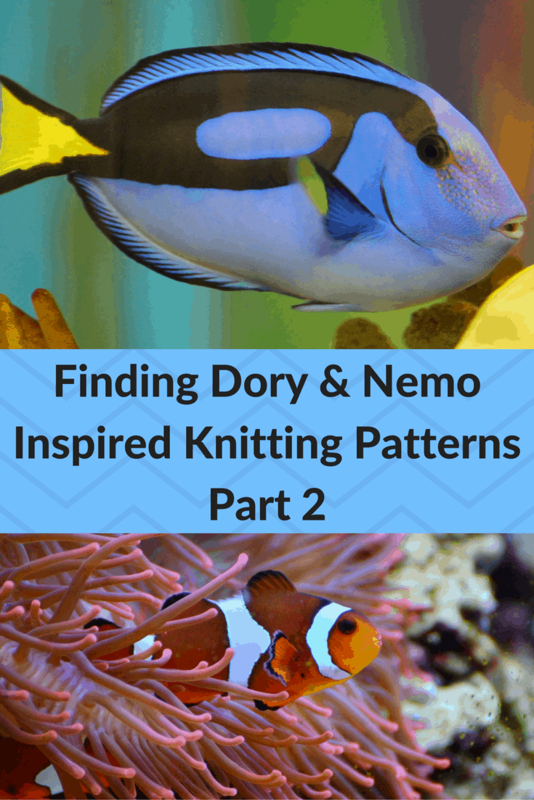 In part 1, we got a big variety of marine life knitting patterns inspired by Finding Dory and Finding Nemo. We got blue tangs, clown fish, sea turtles, manta rays, and lots of octopi. Today, feast your eyes on a rather large collection of free starfish-themed patterns, along with a really large collection of whale-themed patterns. That includes a super-cute whale shark pattern! I’ve also included a few Finding Dory and Finding Nemo-related knitting patterns that are for sale. None are overly expensive, and all were so precious I had to include them! Starfish: I think I might have to take back what I said last time about octopi knitting patterns. Starfish patterns may outpace those of the octopus! This in my opinion is probably the cutest of the stuffed starfish knitting patterns. I just love the eyes! Seamless Knit Starfish: Prefer a skinnier and more realistic-looking starfish? Here’s your pattern. A delightful bonus: it’s knit in one piece, so no seaming. Baby Starfish Cloth: A *lot* of knitting patterns exist for starfish cloths… a LOT. I chose this one because it’s the cutest in my opinion. I also think the “waves” incorporated in the pattern will make for a scrubbier dishcloth. Chunky Starfish Beret and Squishy Starfish Hat: These hats are variations on a theme: a knitted hat with a “starfish” design in the top. One is a beret, the other a beanie. Whale Shark iPhone Cover: Do you yearn for a whale shark named Destiny? Now you can have your very own Destiny, carrying your smartphone around. Whale Hat: Unfortunately, knitting patterns for belugas–particularly free ones–are quite few and far between. Free knitting patterns for plain ol’ whales, though? Extremely numerous! Just knit a whale in white, and everyone will assume it’s a beluga. Like this adorable whale hat, with little whales knitted through the center of the hat using colorwork. Whale in the Waves Socks: Same goes for these beautiful socks. Who’s going to tell you these aren’t belugas? No one, that’s who. These would make a charming gift for any whale- (or beluga-) lover. Whale Tail Mitts: I love knitting mitts, and these beautiful mitts are an inspired way to express your love of whales. 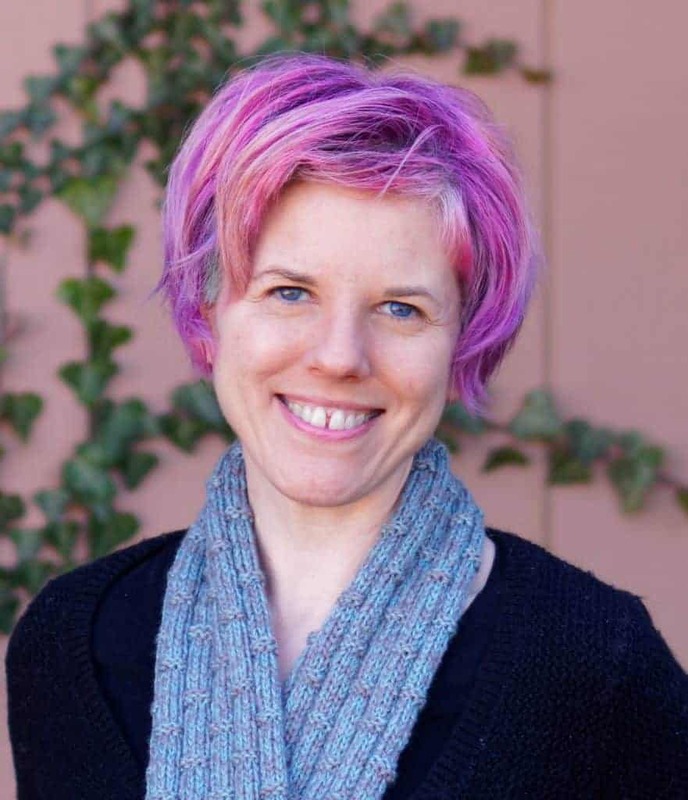 The feathery cable design is an inspired choice. Oedipus the Orca: Changing “Oedipus” to a beluga couldn’t be simpler: knit him/her all in white, give it black eyes, and voila! Little Whale Tail Newborn Hat: This is a basic beanie with a “whale tail” at the top. So cute! Whale Watch Purse: To turn these sweet little whales on this purse from generic whale to specific beluga, I’d just reverse the blue and white. That will make the background blue and the whales white. Win! Some of the most adorable knitting patterns available that match Finding Dory are not free. But they aren’t expensive either, and if you’re dying to knit, for instance, a baby Dory, you might want to check these out! Baby Dory Blue Tang Fish: Guys, this is the most adorable knitting pattern I think I’ve ever seen in my life. Baby Dory, complete with enormous eyes. At £2.50 (about $3.17), this is a very inexpensive pattern. I’m already planning to knit one for each of my daughters! Nemo & Dory Blankets: These two Etsy patterns were created by the same shop owner. The link goes to the Nemo blanket pattern, but you can easily find the Dory pattern in the sidebar. What an amazing gift these blankets would be for children! Puffer Fish: I’m a sucker for puffers; I think they’re the cutest fish in the sea. This is one of the most realistic-looking animal knitting patterns I’ve seen! With the winter holidays coming up fast, I think these Finding Dory and Nemo-inspired patterns will help you tackle many on your gift list!